The HK Memory Project: After moving his squatter factory from Fuk Wah Street to Tai Kok Tsui, Au Kwan Cheung’s father had added a modern knitting machine to increase output. However, his father had already grown old and was not interested in investing in more machinery. Sadly, when he eventually passed the business on to Au Kwan Cheung’s younger brother, it was technologically too backward to survive for long. 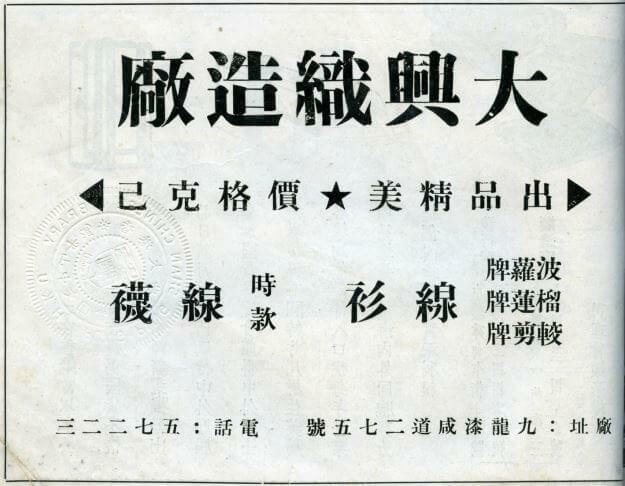 While Au Kwan Cheung did not take over his father’s factory, he and a friend of his founded another small knitting factory which was named Tai Hing Knitting Factory, Limited and was close by in Tai Kok Tsui. 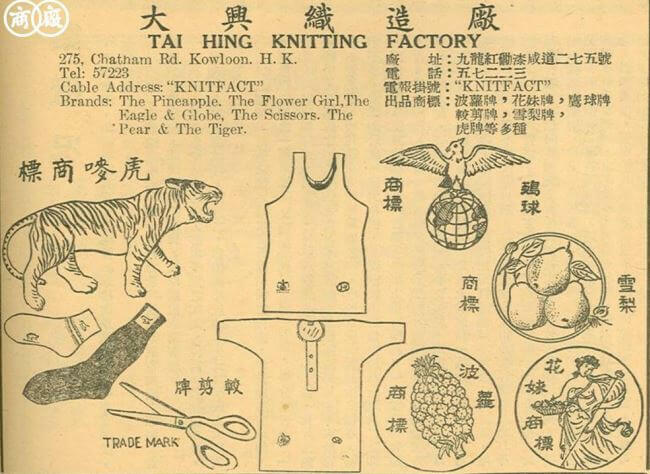 Tai Hing was equipped with the then most advanced knitting machines and used cotton yarns and chemical fibers as raw materials. Chemical fibers became available in the late 1960s, becoming a new raw material for the textile industry. Nylon, polyester and terylene were the main synthetic fabrics at that time. As they offered the advantage of producing less dust during knitting, it was easier to clean the machines. The knitting principles and machinery of synthetic fabrics were similar to those of cotton yarns and were used to produce garments such as T-shirts and sport shirts. While Au Kwan Cheung was responsible for the technical aspect, his business partner who had worked in a chemical fiber import company as salesman was familiar with the marketing aspect of synthetic knitting. As the start-up capital of the two men was less than $100,000 and each machine cost about $30,000, they had to purchase their machines in two batches. Additional equipment could only be added after the company began making a profit. Brands taken from the advert above: The Pineapple, The Flower Girl, The Eagle and Globe, The Scissors, The Pear and Tiger. 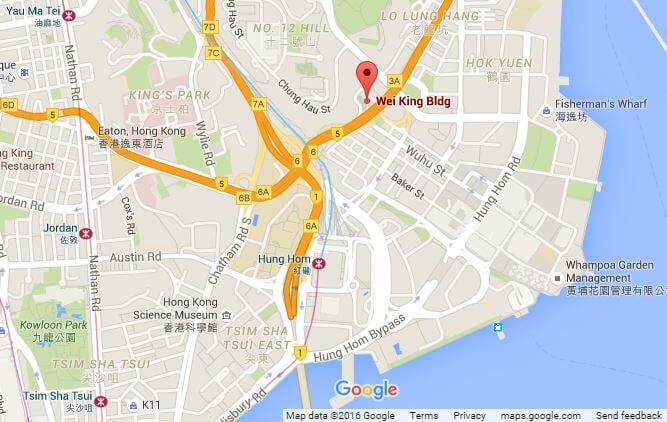 The Hong Kong Memory Project – further information and images about Tai Hing Knitting Factory. Hong Kong Memory (HKM) is a multi-media web site that gives free and open access to digitized materials on Hong Kong’s history, culture and heritage. The materials include text documents, photographs, posters, sound recordings, motion pictures and videos. This article was first posted on 3rd February 2016.